In the early days of my career, school boards and superintendents were more or less trusted by their communities to make decisions about constructing and renovating their buildings. Voter referendums on bond issues passed routinely with little fuss. But times have changed—today’s voters require robust engagement and transparent visioning to turn out in favor of a bond issue. Through my work with nearly 100 school districts over the course of my career, many of whom required bond issues to generate the revenue they needed, I’ve learned the ins and outs of success at the polls. The key to having today’s voters approve a bond issue is strategic community engagement and absolute transparency. District leaders, with the help of the design team, need to go out into the community to hold public forums, share their data and solicit feedback. Voters need to see the same data that district leaders are using to make their recommendations: current enrollment and future projections, facility capacities and conditions, the cost to build new schools vs. renovating existing ones, the best curriculum delivery methodology, and exactly how the money will be raised and spent. If community members feel as though the district isn’t being forthright with them, is withholding information or not being completely truthful, it can spell doom for fundraising efforts. When you share all of the information, communities will usually settle on a sensible approach, and arrive at a solution that fits their needs. There will always be a certain percentage of people voting ‘no’ to new money requests, but there will always be a group in support of improving education, too. The key to the community engagement process is to reach undecided voters to get them on board. One common type of pushback received during the community engagement phase is the notion that the old, existing schools were “good enough for me,” i.e., sufficient for voters when they themselves attended the school 20, 30 or more years ago. This brings us to the practice of educational visioning, a collaborative process used to explore the changing ways in which modern education is being thought about and delivered. It is no longer the line-them-up, teacher-first approach of the past that utilized industrial-age schools consisting chiefly of large, empty hallways with classrooms on either side. Today’s educational philosophy is student-centered and collaborative. Teachers are seen more as coaches guiding students through a learning process in which the students are active participants, and in turn, their spaces need to support this. Modern learning environments now consist of flexible spaces that offer a variety of options such as huddle spaces where students can get together for cooperative lessons, quiet places for individual study and hallways that become break-out teaming areas that are observable by the teacher. 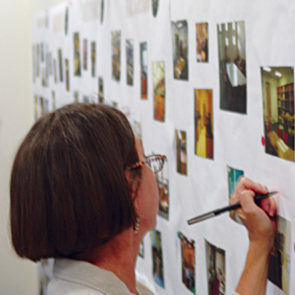 Visioning sessions can help districts and communities rethink what’s possible. 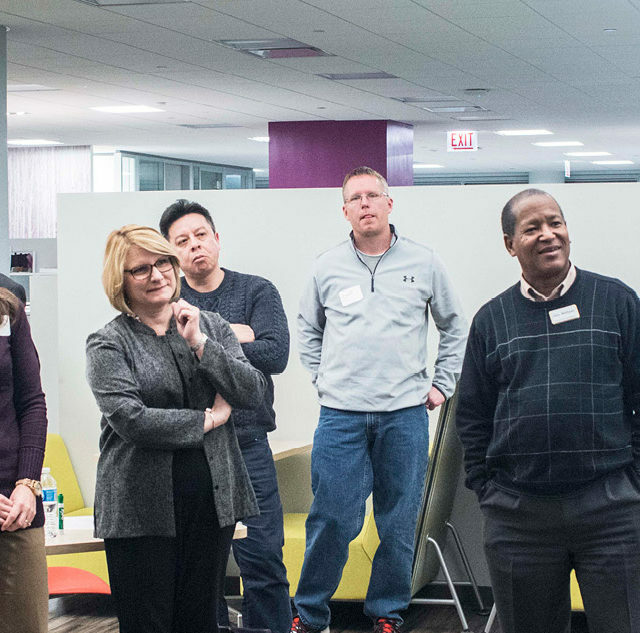 Educational visioning means collaborating with the community to think about how you’re delivering the curriculum today, and how you’d like to deliver it in the future. 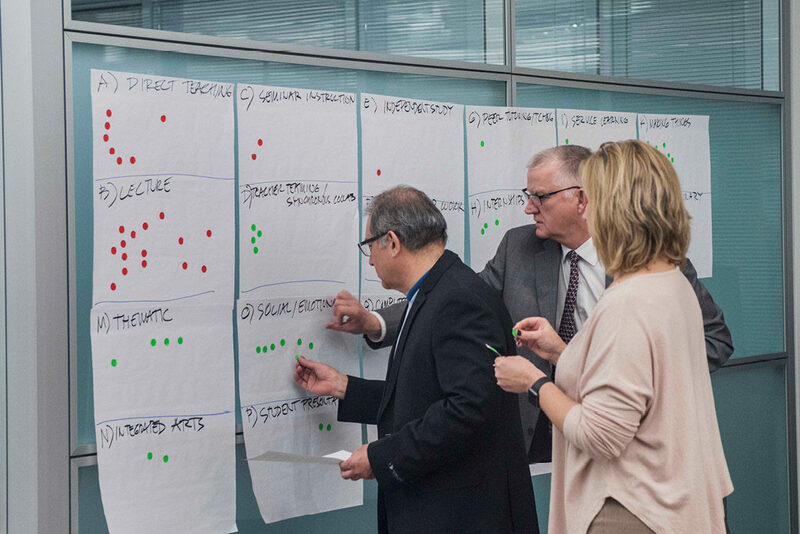 It is incumbent upon school district leaders seeking a bond issue to help the community understand how the learning environment has evolved to accommodate more effective learning styles. On a recent bond issue campaign, the school district declined our recommendations to be proactive in community engagement and educational visioning. As a result, voters turned down their referendum by a staggering 3 to 1 margin. But once they regrouped, did the essential legwork to involve the voters and were transparent about their needs and plans to address them, their second bond issue passed favorably. All of this, from initial rejection to community engagement to a positive vote, transpired within the space of a single academic year. I believe that you cannot sell a bad idea, and communities won’t accept a school bond issue if they don’t understand its benefits. But with strategic engagement, educational visioning and an open book approach, school districts can have greater success when they ask for the financial support they need to improve their facilities.